Toufayan Flatbreads are light and fresh to help you make the best Panini’s, sandwiches, and flatbread pizzas. And with their 9g of protein and 0mg Cholesterol, it’s a bread you can feel good about serving. 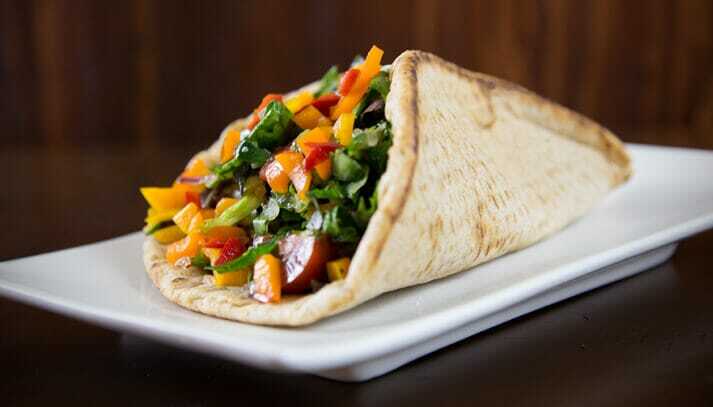 Our Traditional Indian Style Flatbreads aren’t yet certified vegan, however, we don’t use any non-vegan ingredients. Ingredients: Organic wheat flour, water, contains 2% or less of the following: organic yeast, organic sunflower oil, organic cultured wheat flour, salt, sodium acid pyrophosphate, organic sugar, sodium bicarbonate, sunflower lecithin, organic vinegar, organic wheat gluten. Ingredients: Organic wheat flour, water, contains 2% or less of the following: organic yeast, organic sunflower oil, organic cultured wheat flour, organic roasted garlic seasoning (organic onion, organic roasted garlic, sea salt), salt, sodium acid pyrophosphate, organic sugar, sodium bicarbonate, sunflower lecithin, organic vinegar, organic wheat gluten. I don’t see how to prepare your flatbread on your web. I just want to use it to accompany soup or salad. Warm? Toast? Hello Georgiana and thank you for your interest. We suggest heating our Flatbreads in the toaster oven for 3-4 minutes or until desired. 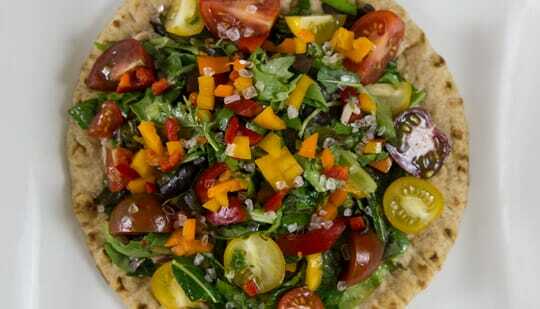 If you’re looking for new ways to enjoy our Flatbreads, here are some great recipes for you to try out! How to order Toufayan flat bread directly from you.